Specifically formulated to meet the calcium needs of insectivorous reptiles or birds, Vetark Nutrobal is a vitamin and mineral supplement which balances the calcium needs within the body. Many reptiles favour insectivorous foods such as crickets and mealworms, which have insufficient calcium levels, so regular supplementation ensures the body receives all it needs to help prevent issues like metabolic bone disease. 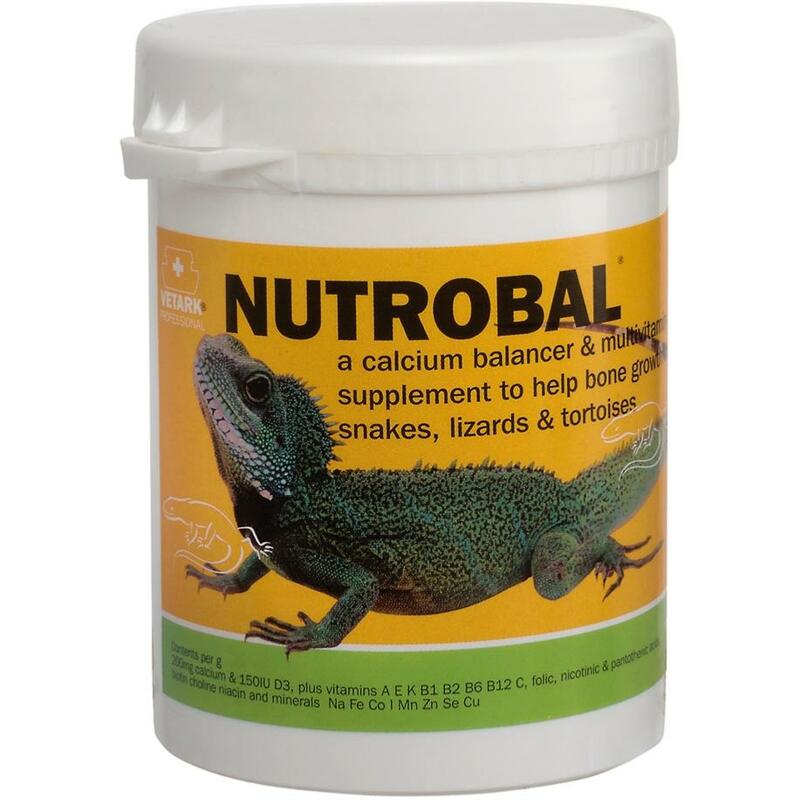 The ratio of Calcium to Phosphorous has exceptional importance in ensuring healthy bone growth and reproductive functions, so Nutrobal is extremely valuable in correction the deficient diets of reptiles with a Ca:P ratio of 46:1. Use Nutrobal as a dusting powder for species fed primarily on insects, such as Bearded Dragons, and for other species fed on lean meat such as growing chelonia who need calcium for shell development and for larger lizards and crocodilia to promote normal bone development.